Vendor Profile : Website, Graphic Designers, Custom Logos >> Sinister Visions Inc.
Sinister Visions inc. is a full-service visual design studio catering to the horror, Halloween and haunted house industries. We offer logo design and branding systems, award-winning art & illustration, website design & hosting, graphic design, original font design, sound design and more. 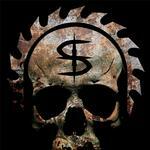 Check out the videos of Sinister Visions Inc.